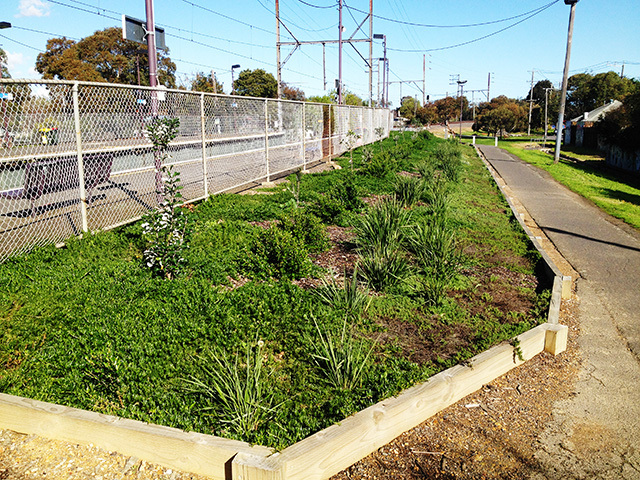 The Merri Stationeers are a group of local residents that formed in 2008 to change the look of Merri station in Melbourne through landscaping, planting and art. 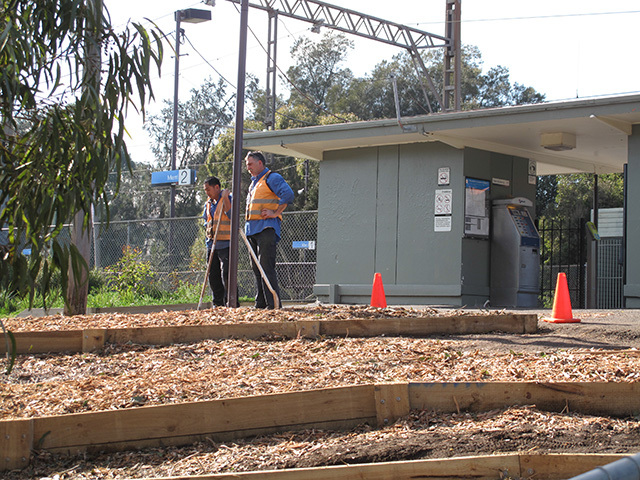 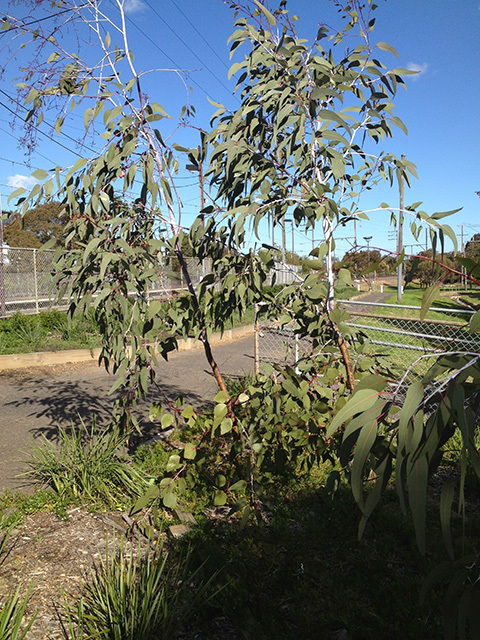 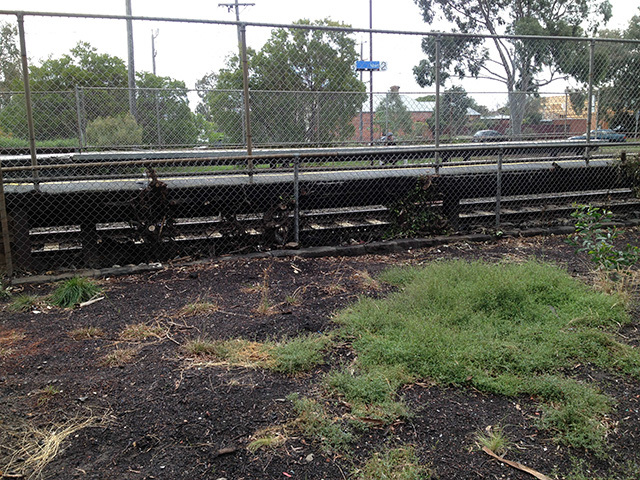 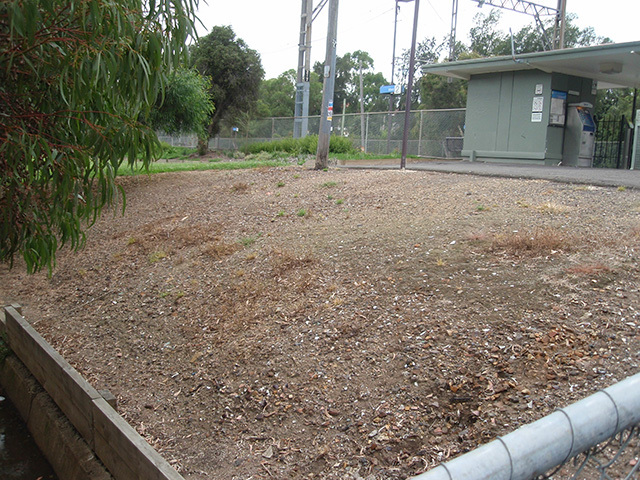 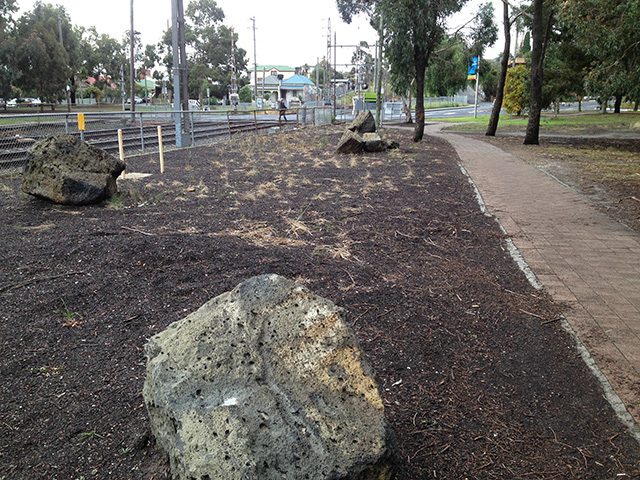 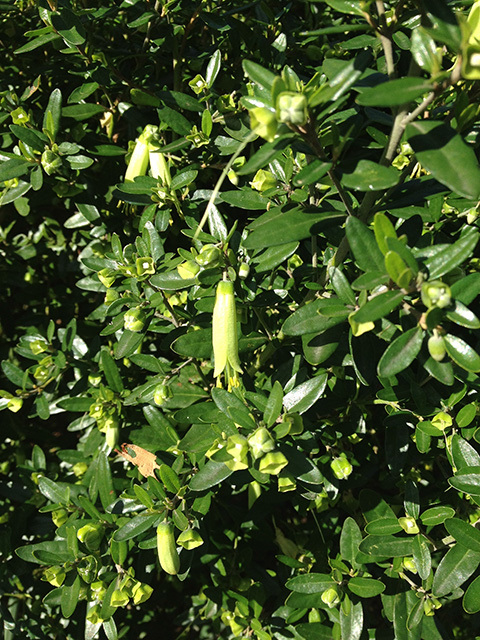 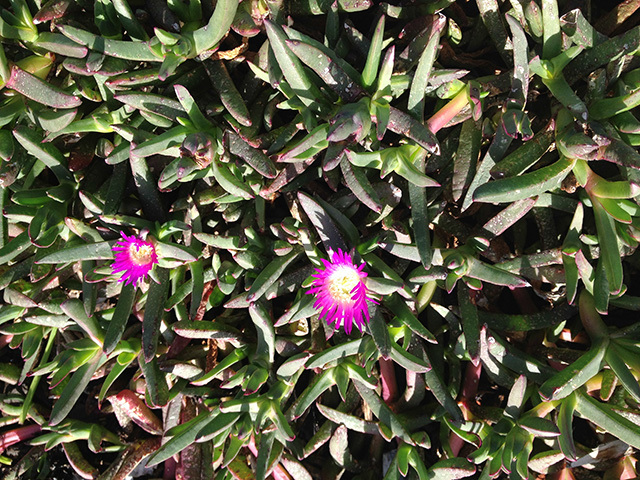 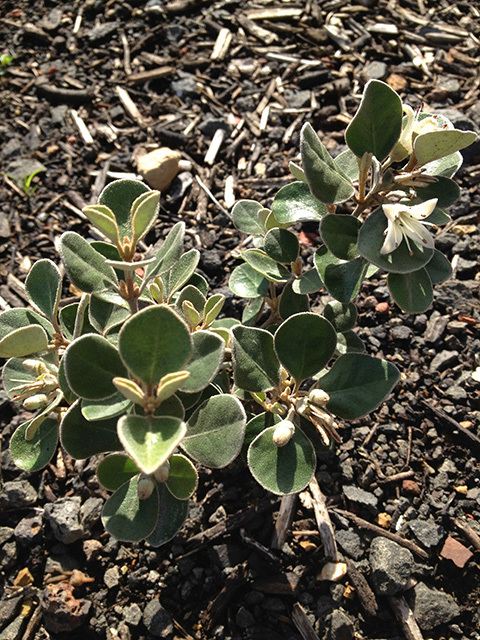 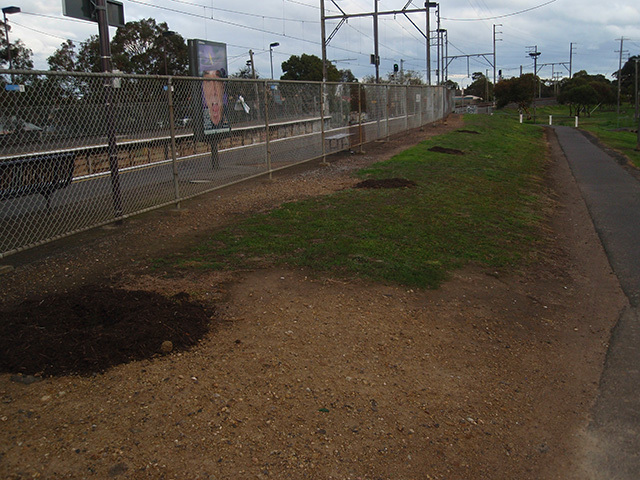 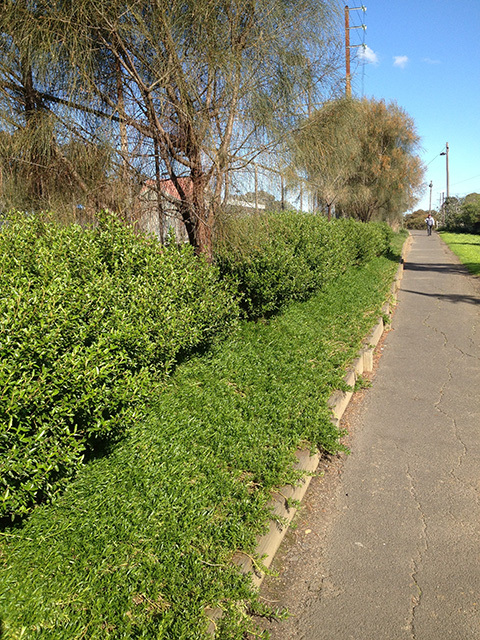 Since that date they have formalised several gardens around the station with support from a variety of stakeholders, including Metro, Victrack, Darebin City Council, Noleema, Keep Australia Beautiful and SITA Organics. 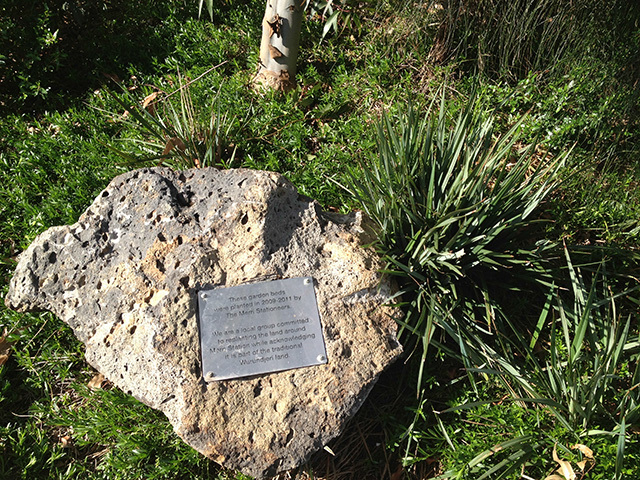 Heather Hesterman, Jela Ivankovic, Anna de Leuw Poole, Janna Hilbrink, Liz Wotherspoon, Rohan Griffiths, Matt White and Mike Flattley have been a part of this committee and recently this project was shown on ABC TV Gardening Australia program dated 27 July 2013. 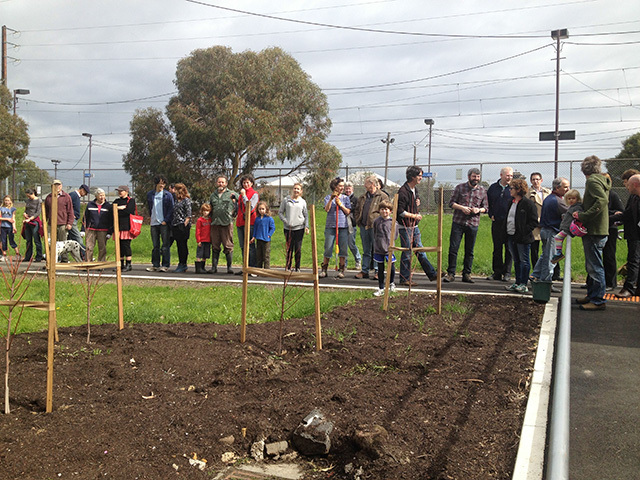 The local community are proud of this project, and of what they have achieved together.This is a green urban space that has evolved, is now valued and enjoyed by all who visit. 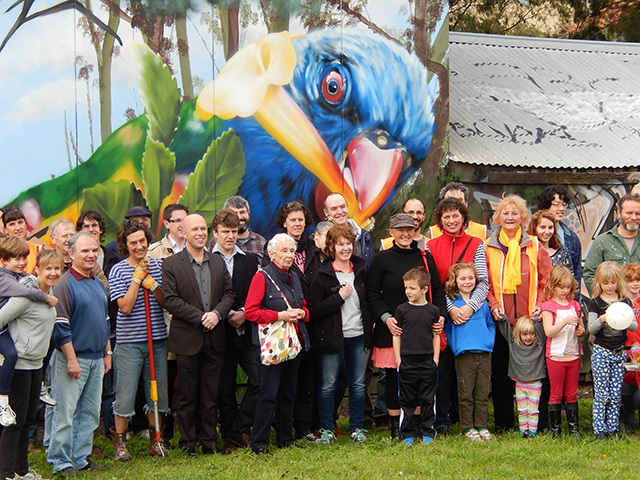 On Sunday 25th August 2013 the local community came together to do a working bee and to formally unveil a mural that was a joint project for the Northcote Rifle Club and the Merri Stationeers. 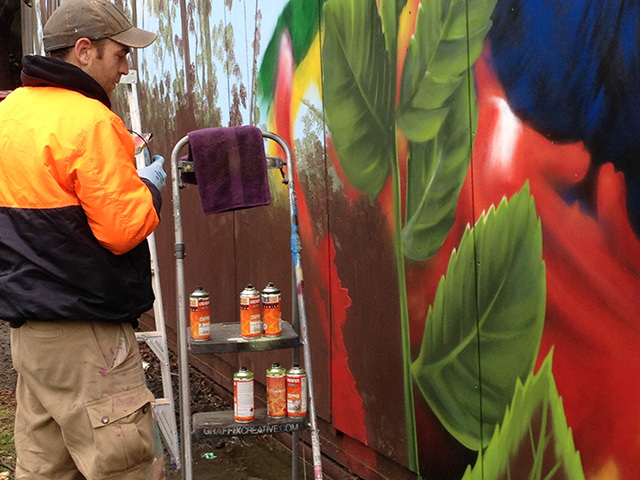 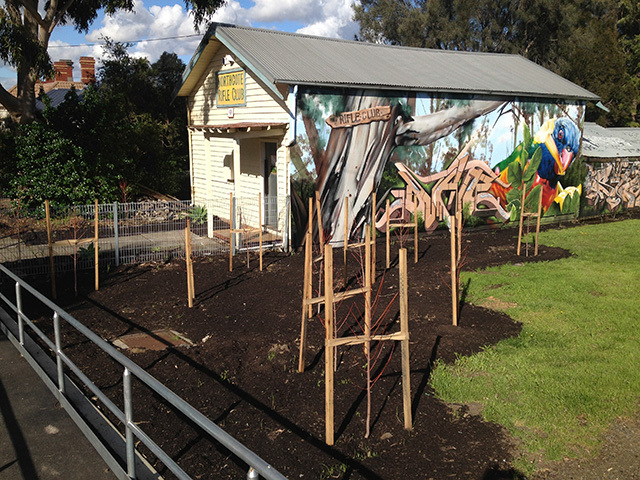 With a grant from the Darebin City Council, both the Rifle Club and the Stationeers co-ordinated a mural and planting to enhance the area. 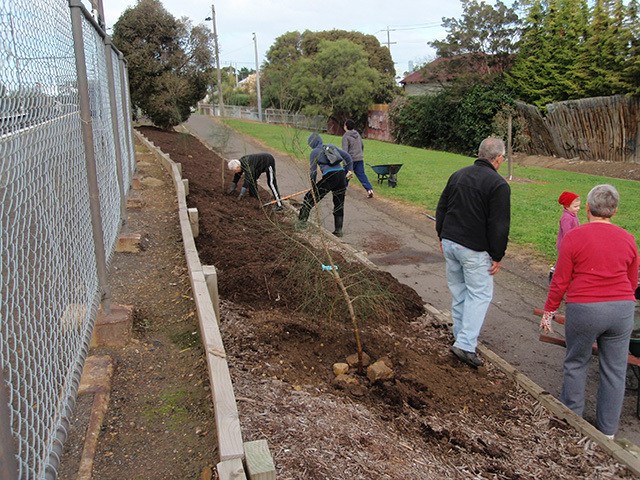 Trent McCarthy, Oliver Walsh and Jesse Martin with artist Jimmy Beattie and George Dutka – president of the Rifle Club were introduced by Rohan Griffiths – President of the Merri Stationeers. 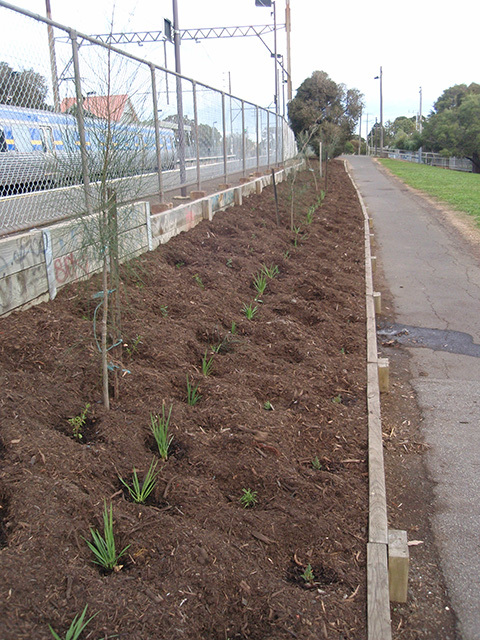 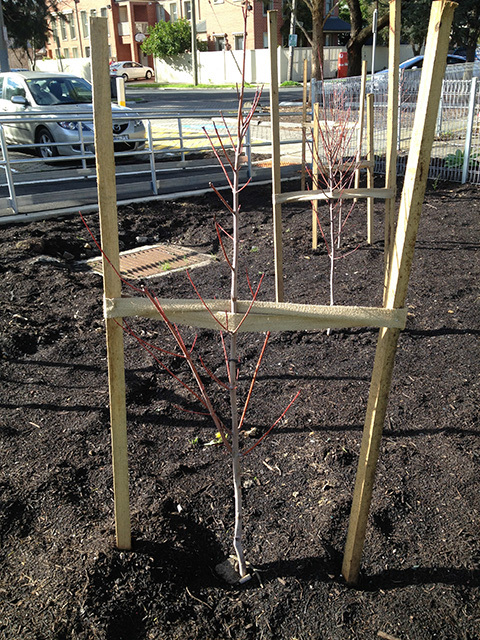 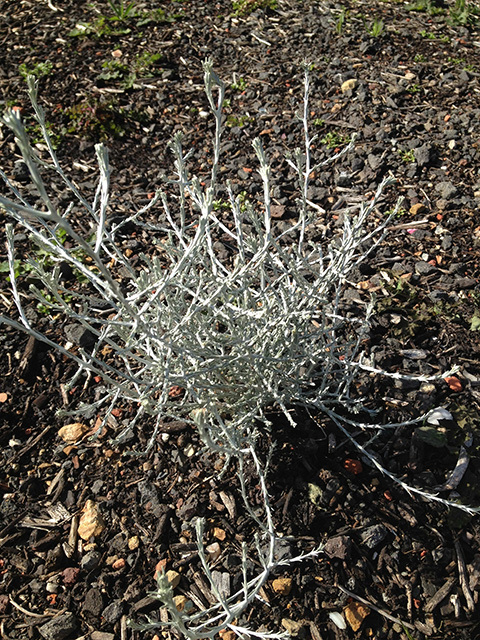 This was a community initiated project to reduce graffiti whilst creating an aesthetic response with complementary plantings of Acer October Blaze.